THURSDAY, Feb. 8, 2018 -- Most Americans are not on board with President Donald Trump's recent decision to further protect health care workers who refuse to treat patients on religious or moral grounds, the latest HealthDay/Harris Poll shows. More than eight of 10 surveyed do not believe doctors, nurses, pharmacists and other health care providers should be allowed to use their conscience or beliefs to refuse care. Majorities agreed that health providers should not be able to refuse to treat a patient based on religious objections to their sexual orientation (69 percent) or to refuse to perform surgical procedures because they have a religious objection to them (59 percent). 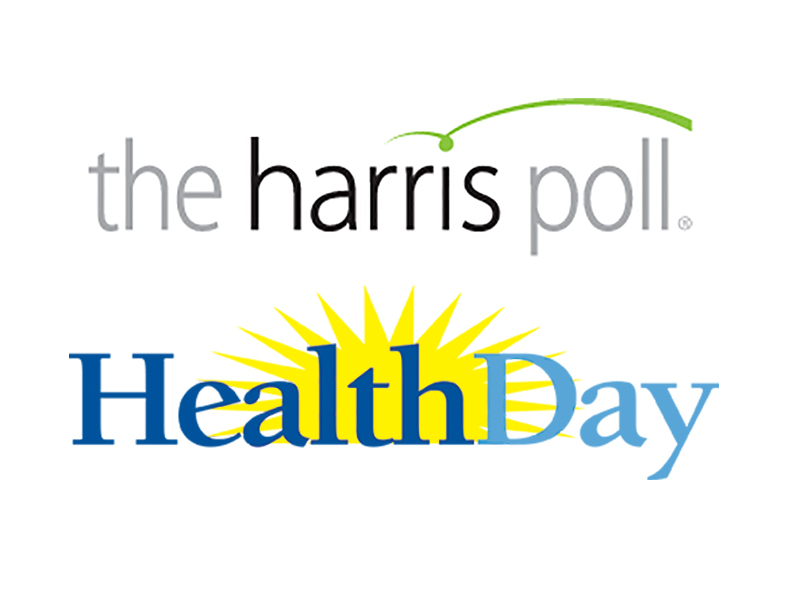 "In reply to all of the questions, regardless of which services were being provided, or which patients were being treated, only relatively small minorities of the public believe that providers should be allowed to refuse to provide care," said Deana Percassi, managing director, public relations research practice for The Harris Poll. The online poll included more than 2,000 U.S. adults and was conducted in late January. The Trump administration announced last month that medical professionals who feel their rights have been violated can now file a complaint with a new conscience and religious freedom division of the Office for Civil Rights at the U.S. Department of Health and Human Services. "For more than 40 years, federal law has protected the conscience rights of all Americans in the context of health care," the Heritage Foundation said in a statement. "These protections have allowed for a diversity of values in health care and ensured that individuals can work and live according to their moral and religious beliefs." However, the new poll found only a minority of both Republicans (22 percent) and Democrats (8 percent) support the notion that health care providers should be allowed to refuse services that conflict with their conscience or beliefs. "What we're seeing here is that the American public understands the danger of allowing individual bias to impact the ability of health providers to do their job," said Frederick Isasi, executive director of Families USA, a health care consumer advocacy group. About 23 percent of Republicans said health care providers should be allowed to refuse to treat patients because they have religious objections to their sexual orientation, compared with 9 percent of Democrats and 10 percent of Independents. By the same token, 40 percent of Republicans said doctors should be allowed to refuse to perform surgical procedures about which they have a religious objection, compared with 14 percent of Democrats and 24 percent of Independents. Dr. Robert Truog, director of the Center for Bioethics at Harvard Medical School, said that "rules like these are often focused more on scoring political points than on solving actual real-world problems." Truog said, "Nobody wants to force people to do things that that they feel morally opposed to. There's general agreement in the medical profession that if a patient has a legal right to a treatment, those with conscientious objections have an obligation to refer the patient to somebody who would be willing to provide that treatment." He added, "I think the vast majority of time we can work these things out so that people aren't forced to do something they don't want to do, and patients will still get the treatments that they need and deserve." Isasi agreed that conflicts between a patient's needs and a doctor's beliefs are rare, so much so that he questions the need for the new rule. "The administration is very hard-pressed to point to any real robust provider group that is arguing their ability to perform their duties ethically is being violated. It's not like this is a huge problem," Isasi said. However, Isasi is concerned that the rule itself will have a chilling effect on people seeking help from a doctor. Concerns about touchy subjects like gender, reproductive options or sexual orientation might never be raised with a doctor, for fear that the professional could demean the patient or lash out at them, Isasi suggested. "These are very sensitive personal issues, and a little bit of bias can create an enormous barrier for patients to receive care," Isasi said. "The way this regulation reads, it feels like it's trying to provide a basis for a provider to not have to shield their bias, and to inject their bias into those very personal moments with patients." One-quarter of the adults surveyed believe health care providers should be allowed to refuse to provide medical treatments to transgender patients as part of their transition to make their body more in line with their gender identity. About one in five believe that doctors should be allowed to refuse to prescribe birth control. Relatively small minorities believe that health care providers should be allowed to refuse to treat transgender patients (14 percent), to treat patients who have had abortions (13 percent), or to treat patients who are gay or lesbian (12 percent). For more on the new regulation, visit the U.S. Department of Health and Human Services.